Background: Klobuchar received her Juris Doctor degree from University of Chicago Law School in 1985. After leaving school, she worked primarily as a partner at Dorsey & Whitney and Gray Plant Moody. Her first foray into politics was an appearance before the Minnesota State Legislature advocating for a bill that would allow mothers to stay in the hospital after giving birth for 48 hours rather than the then-standard 24 hours. This bill was passed by the state and was eventually made federal law by then-President Clinton. Klobuchar is currently serving a third term as the Minnesota state senator following the election in 2018. Abortion: Klobuchar received a 100% score from prochoiceameric.org in 2017. She was also rated 100% by the Planned Parenthood Action Fund in 2018. Foreign Policy: In May of 2018, Klobuchar was one of 12 senators to sign a letter to President Trump urging him to remain in the Iran nuclear deal. In October of that same year, she was one of eight senators who signed a letter to the Director of National Intelligence requesting a classified briefing on what the intelligence community knew about threats to Saudi journalist Jamal Khashoggi. Healthcare Policy: Voted for the Affordable Care Act in 2009. However, in 2012 she advocated to "repeal or reduce" the tax on medical devices included in the Affordable Care act, which would be harmful to businesses in Minnesota. 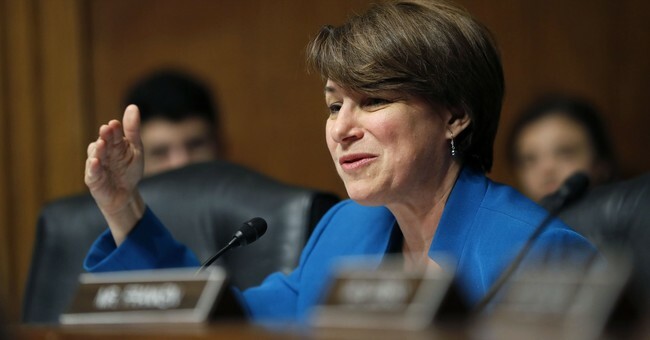 Klobuchar disagreed with the ruling in 2018 that the Affordable Care Act was unconstitutional. Gun Control: Kobuchar participated in the Chris Murphy gun control filibuster after the 2016 Orlando nightclub shooting. Immigration: One of the 20 senators to sponsor the Dreamer Confidentiality Act in January of this year. This bill would ban the DHS from passing information collected on DACA recipients to ICE, CBP, the Department of Justice or any other law enforcement agency. Controversies: Klobuchar has recently been alleged of mistreating her staffers. This has caused at least three top campaign aides to decline leadership of her campaign.